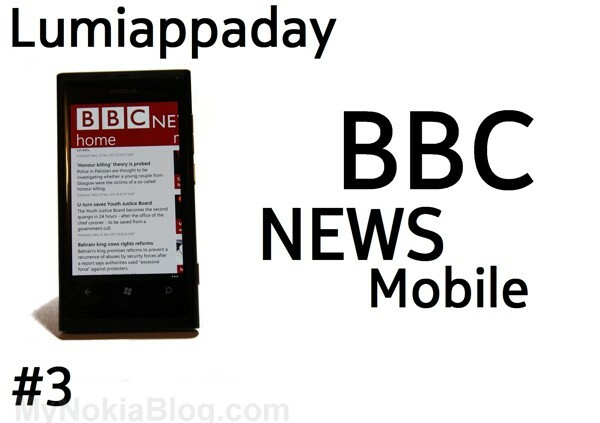 We are now on our third Lumiappaday. 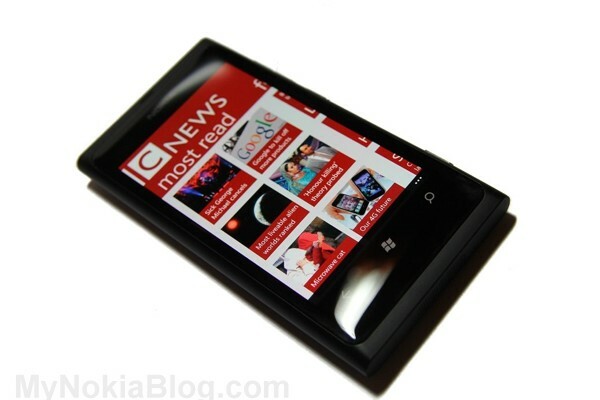 As I mentioned in the beginning, whilst we are doing at least one Lumia App a day, we might do more than one. Today, hopefully we should have a couple of other apps on show, and same again tomorrow. Otherwise, it’ll take forever to show you the apps I’ve collected up, let alone new ones I’m finding. This is a dedicated BBC News browsing app. It ties in with the metro panoramic UI and has some tiles for the popular stories as well as feeds that you can personalise (Depending on what type of news you’re interested in) and pin to your homescreen. 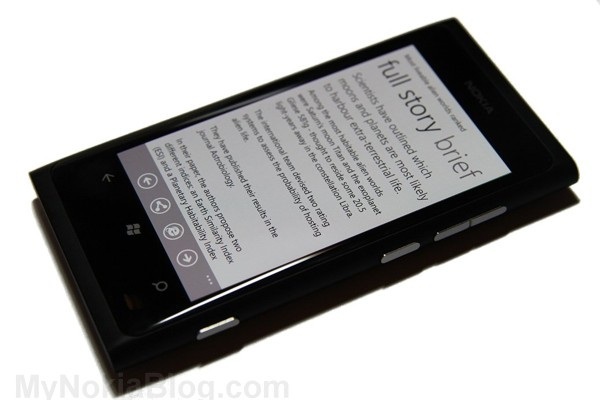 Stories appear first in a brief summary with a thumbnail image and then swiping over reveals the full text. These stories can then be shared in the usual methods. 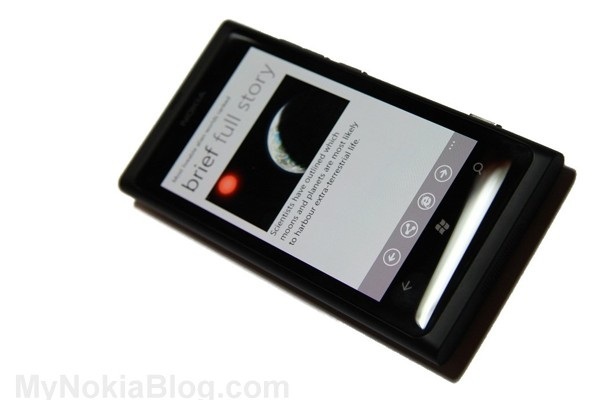 You can set a live tile to show the latest news as well as activating push notifications that appear at the top whenever there’s a breaking story. This isn’t the official BBC app, but it is very well made. Design: 10. Very slick looking app, in keeping with the clean metro design. The feeds and most read tiles are quite attractive. Usability: 9. Very simple to use, straight forward. Stories can be viewed in landscape and if you want, there’s a link that takes you straight to the browser version. Adjustable font size might be welcome. Not a problem for me though and you could pinch zoom the story in the browser later. Performance: 9. Fast, reliable, no hiccups. Pulls stories quickly. The only possible niggle might be the slight blink when resuming after multitask but that’s not really an issue. Resuming from lock screen does take half a second or so. Price: 10 – it’s free, and no adverts. Conclusion: Great news app. If you like BBC, it’s a must have download. 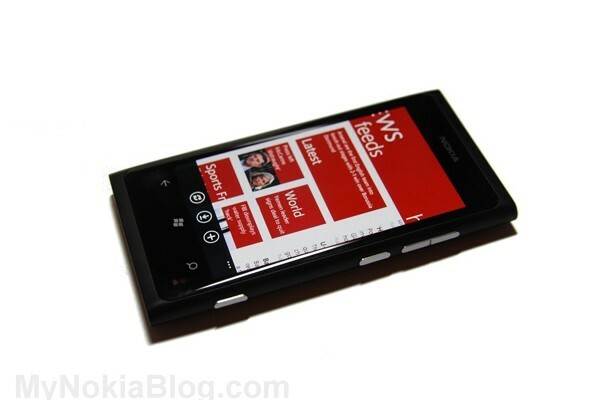 « Nokia Lumia 800 sold out in some Orange Stores.